Just a quick update this week as I am off on my holidays. This week I managed a 3.4 mile walk/run 6 minutes running then 2 minutes walking -the running was at a decent pace so I am quite happy. I wanted to try doing another run but somehow it never happened. It was brilliant, a perfect thing to do midweek, the weather cleared entirely and we got some great pictures. Then I got home to find pizza waiting for me. Yum! Finally it was the end of era for me yesterday. I finished up in the office I have worked in for seven years. I have worked with many lovely people some of whom I am lucky enough to call friends. It was a great send off, homemade cinnamon swirls, data-themed baking, drinks and just a little bit of dancing. They got me some shoes (I have surely mentioned the shoes) and sweaty betty vouchers as leaving gifts! Now do I count them on the wartime wardrobe challenge? ? So what’s been happening this week? Well all in all an interesting week. I have been doing a fabulous weekly pilates class at a place called the pilates attic, it is great as it focuses on many different aspects including strength and mobility. This week I found myself day dreaming as I rolled my legs on the foam roller (when you don’t run the foam roller no longer seems to be the bane of your life)! A lot of balance and shoulder work this week but during the stretching session I felt a pain in my left leg in the thigh area. The teacher spotted me having problems and immediately came over to check, he said I should take it easy but not to worry too much. The stretch on my other leg was fine – odd. 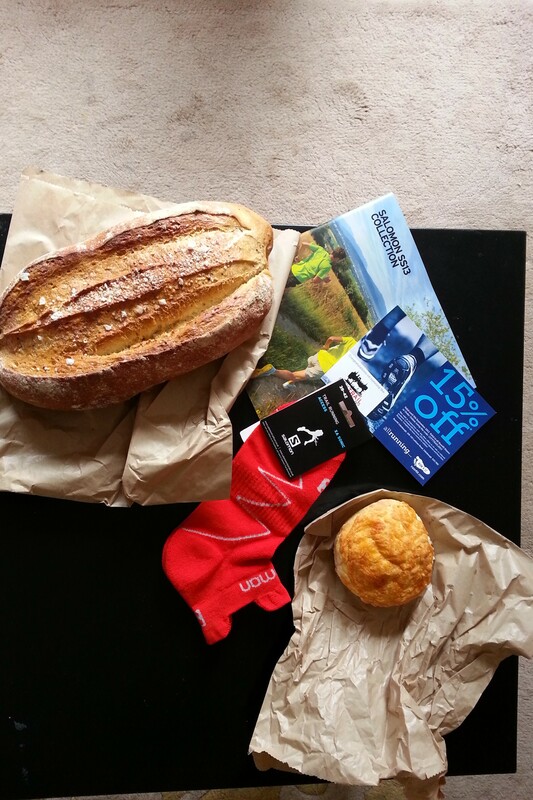 Come this weekend I have been feeling okay legs-wise – ready for my mini adventures on horse back and on the bike! So a lovely 2 hour hack on the horses on Saturday. The weather was a little unpredictable, we did get rained on so heavily we stopped in some tree for a bit of shelter. The ride was nice but for me it wasn’t the best ride. 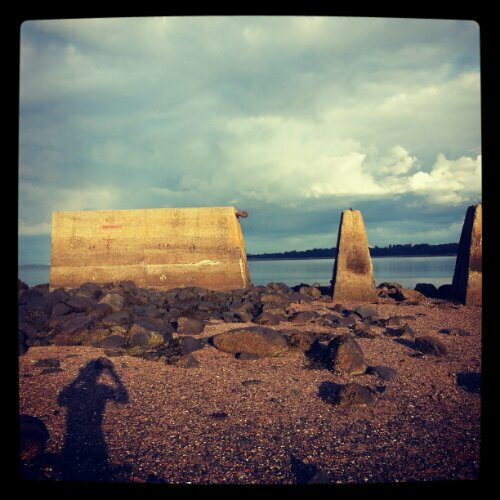 I have been feeling like I have had quite a run of enjoyable riding, where I have felt improvements in what I am learning and that my nerves are receding. Cue a painful (mentally) reminder that I am still a nervous rider. I was given B for the hack, now I know my instructor was giving me B because she thought I would really enjoy him but well I just didn’t click with him. As I haven’t cantered him outside I was put 2nd file when B would normally be 1st and I think that probably contributed to him tripping throughout the first trot. Then in the 1st canter I think I had my reins too short as he put his head down and I nearly came over the top. Cue the tension in my chest, me just saying over and over again that I wasn’t happy and the girls around me trying to reassure me. I am well aware it was me doing something but I just couldn’t deal with him so I ask to swap. The instructor was on Jm and she was very clear – if I swapped I had to accept he might buck and that I had to keep him under control. I still chose to swap, I think that probably says how uncomfortable I was with B. I am thoroughly embarrassed. But do you know what? I have to let it go, otherwise being me I will let it eat me up. Instead I will request B on a couple of shorter hacks then the next 2hr hack I will take him again. Jm proved more of a handful than I initially realised but he did test me and given my nervous moment with B I think I did ok. It was at the lovely long canter stretch that we have and I could already feel a wee ball of energy growing in Jm as we turned onto it. Our instructor gave me a set of instructors specifically for me and Jm and kept re-iterating not to let him overtake – it made me wonder how fast we were about to go. Answer: FAST!!!!! I was asked to start cantering Jm before the rest had started and to shout forward, I did this and jesus it was like a small jet-propelled horse. Then just when I thought he didn’t have another gear, he took it up a level. But I kept him in behind Mr K and had him under control – I was up off his back and I have to admit I did enjoy it – bar one acceleration moment. However, then Tx came alongside sans rider, yup unfortunately we had a faller. She was ok and hoped back on after dusting herself down but I had gotten confused and thought my instructor had told me to get off but instead I think she said someone’s come off so I was standing next to Jm looking like a prize prat – woops. So it was an interesting ride and I was really down about it all with my riding confidence taking a bit of a battering. However, all the friends I have made at the stables have been so sweet telling me not to be too hard on myself so I am trying to be a bit more positive about the experience. Next up, the clydesdales on the beach hmmm..maybe wish me luck. Sunday was a mini adventure too but this time on two wheel not four legs. It was meant to be a cycle of around 60 miles – seriously I have no idea why I choose ridiculous distances for my first long cycle but hey. Unfortunately 3 punctures later (including a bizarre one where the inner tube exploded in the shop) and a wind so strong it nearly sent me on an interesting diversion into a field it was clear the cycling gods were against us. It was still a great cycle and definitely a mini adventure! The views were brilliant, great terrain and a good laugh just cycling along chatting to my mate. We had to beg and borrow puncture repair patches due to our incredible inability to plan 🙂 I had tyre levers and a pump but not a puncture repair kit and none of our spare inner tubes fitted my bike – daft huh? That shows I am more used to running – I don’t need to prepare for it! Still it did show how lovely cyclists are, they were all very nice even when they couldn’t help. Plus while we didn’t get the whole way to Falkirk we did get to Linlithgow which has a lovely palace and an even lovelier bike shop, elevation cycles. The guy was so helpful and chatty, even though he must have been thinking what a pair of berks! 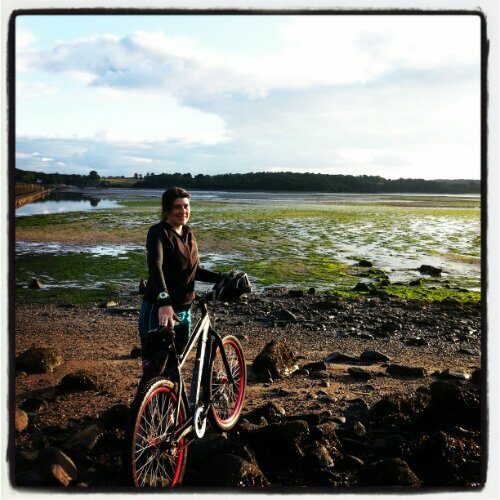 We got the train back to Edinburgh so in order to do a bit more cycling we took a quick jaunt up Arthur’s Seat – I was riding a single speed so I found it tough but hey I did it. So not the journey I was expecting but fun all the same! I had a lesson with the owner of stables last weekend not my usual instructor so this was slightly odd. I used to be very nervous of the owner, she always seemed to appear when I was managing to do something idiotic. However, I have since been doing the Riding & Road Safety course which she takes part of and I realise that she simply teaches in a different manner. So here it was that I came to the stable to find I had been assigned Tx for this lesson. Now Tx and I have done ourselves proud on a fair few occasions. Last year I joined a mid-week evening class for the more advanced riders that ride at the stables, a few of them have their own horses and have been riding much longer than I have. They are all excellent riders and a good few levels above me. My instructor had warned me that I could join in but that I had to do everything she asked and if I didn’t get something correct the first time then I didn’t get second chances in that class. So prior to my first lesson I gave Tx a pep talk in the stables and we did really well. He responded like a dream and did everything I asked of him including keeping active (Tx has two settings asleep and really asleep ;)) – the short of that story I have a real soft spot for Tx. In Sunday’s lesson the owner worked on us getting an active walk and what to notice when warming a horse up – all this kind of thing is fascinating to me as I have always wondered about if I got my own horse (a dream, I know) how would I know these things? She asked us what we looked for when warming up and working in open order, I got asked that question last and my mind went blank which was a bit annoying. She focused a great deal on praising the horse for doing something correctly too. So we were to walk on ask for an active walk, get a few strides of active walk in then halt and praise the horse. Then we would ask them to walk on again asking for activity immediately, once we got it again we were to stop and praise them. It took Tx a while to get activity but once we did he became lighter in my hands. In the trot we were to look for more of the same and it was nice to be focusing on different elements but all within the same context. On to the canter, this was where Tx and I slightly fell apart. Tx is not naturally forward-going so once in the canter you really need to continue to push him on. Now I don’t often have a problem with that but this week it was different. To start with the first canter the owner asked me to pull up, she explained I was leaning forward and she wanted me to rock back. She tried to explain it that I should feel like I am in a rocking chair, that’s the motion she wanted. For the second, third and fourth canters I was trying to do this and it worked to a degree but I forgot to keep the leg on Tx and without that he transitioned back to trot on the corner, this annoyed me as I should have been able to keep him going. I did wonder if my leaning forward was also slightly caused by my nerves with the owner teaching us as I have definitely improved on that front. The final exercise was turning on the fore-hand, it took Tx a few goes to understand what I was after but we managed to do one good turn – he got a lot of praise for that. At the end she did a wee round-up with each of us as we stood in the school running up our stirrups and dropping the girths – for me open my chest and expand more and rock back in the canter. It was a really nice experience in the end and I am pleased that I did it, she was not as scary as I used to think. After all I am here to learn! so…P I thought he is similar to Tx and I wanted to work on same things. Don’t tell P he was my third choice. On a side note it is a good thing I didn’t get Tx – he was asleep in his stable when I went past, spark out on his side and looked like he was ignore any annoying people trying to rouse him. With P we decided to start working on getting him active, well that’s tough. However this time it was all about me getting my position spot on as this will help him to work properly and also to let me know how to feel when is working. So the constant refrain “shoulders up, push them back and drop them down, elbows bent, move your arms, keep your bum still!”. She told me to work on checking these elements in each gait. It is an odd thing that I have started to move my bum again more in the walk, we both wondered if it had something to do with my ankle as it has only really started since then. This idea of focusing on my position was working well – the difference in P was really good to feel and reinforces the ideas – I have mentioned that about P before – the fact he really responds to your positioning makes him great for learning these aspects on. Moving onto the trot she was teaching me to feel for the best trot, to feel when he is swinging correctly. I found him becoming light in my hands the only thing is that he wouldn’t raise his head properly – I found him pulling me slightly forward. My instructor pointed out that sometimes you need to encourage P to raise his head and so she was asking me to encourage him to come to my hands rather than let me drop my hands and lengthen my arms for him. It really did work. Next onto circles, decreasing in size around my instructor and getting him to bend for me but keeping the trot active and light, then leg yielding him back out to increase the circle size. We then did some work without stirrups, which on P is really tough at times as he is so bouncy, I nearly came off at least twice! Luckily P feels you becoming unbalanced and often slows – either that of he speeds up, it depends upon his mood. Throughout the lesson we kept the focus on my posture that idea the owner had mentioned of open my chest and expanding. Before we moved onto the canter exercises I had to check he was still responding to me so put in a few halts and transitions then leg yielding him on the straight up the 3/4 lines. He seemed to be listening to me well although he was tricky in canter as we started on the right rein which is his weaker rein and mine so it was always going to be tough, each ask to canter had to be backed up and it took a lot to keep him going making me forget to check my posture. But on the left! Woaha, that is coming together nicely. He transitioned each time I asked beautifully – we kept going brilliantly. I was able to be back with my posture good, I reacted to his movements quickly leading my instructor to shout out compliments! All in all a nice end to the lesson. I feel like P and I improve each lesson we have together and while he is the horse I fell off, even that incident taught me a lot. I had a few spare hours and stayed to help out, although how much help I was who can say! I did lots of grooming ready for the pizza ride that night – how B had managed to get his straw matted in his forelock I will never know. I am also getting a lot of practice putting on bridles, at my stables they use the treeless saddles and padding systems which means it isn’t the best idea for us to tack up as the padding has to be correct but we can started to learn working with bridles. I also got a lesson in horse behaviours from the owner which was fascinating, showing me why Au was reacting with suspicion to me being in her stable with the bridle. 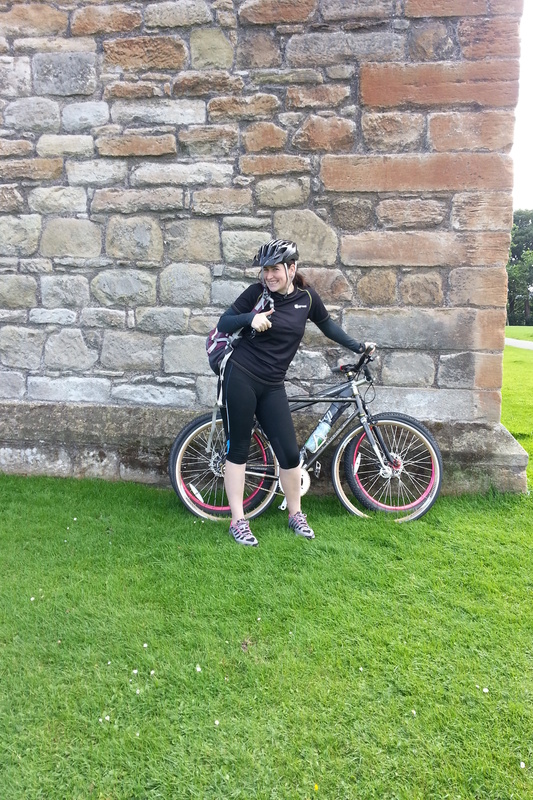 Although I might have taken on too much as I did for the first time cycle to and from the stables, that was knackering! Even more knackering than a lesson on P.
So on to mention what I bought (seriously looking at my won history in the My eBay section is mildly worrying) and to the items I have removed from my wardrobe to make space for them. 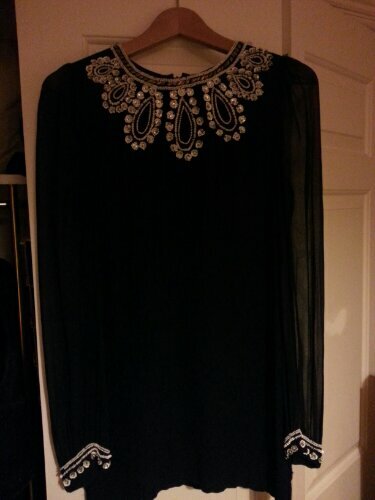 1 dress with embellishment – great condition, the clothing brand is French Connection – another label I have stopped buying from. To allow this one space in my wardrobe I actually took another dress I had that was baggy and shapeless and cut it up into dusters. I had thought this dress would be suitable for wearing to weddings but frankly the length is far too short and instead it will make a lovely going out dress when teamed with leggings. Another note, it is slightly too tight and while I never usually buy or keep things that are too tight I am still not able to run as much as normal and therefore assume the extra few pounds is due to the fact I haven’t altered my diet accordingly. 2 playsuits (!) – you read that right, not one but two playsuits *sigh*. Well this is the part where I confess that one I have wanted a playsuit for a while and two I do not suit them and need to accept that. The first one I won was a lovely black one with a leopard print collar but unfortunately I couldn’t raise my arms above shoulder height without causing myself a lot of pain – this meant I couldn’t do it up properly. So what did I do? Handed this one onto a friend and bid on one in the Tall section. Well when I received that one I just looked like a grade A twerp in it. So much for playsuits – lesson learnt there although if in August’s round up I even mention a playsuit if someone could come give me a slap I would appreciate it! Both of these items have been passed on to others. 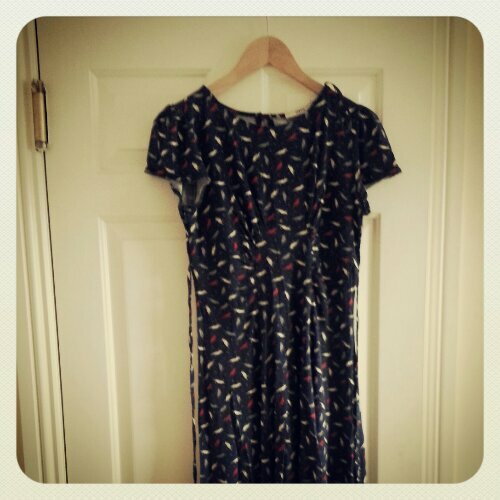 1 dress- originally Oasis – the only item I bought that I would say has clearly been used before. It is a nice print and I will keep it but it is faded. It is also very short for a dress so I will be using it more as a tunic, I have also placed a bright pink tank top into the charity shop bag for this item in the one-in and one-out idea! Tweed purse – Ness. It is lovely and I had been needing a new purse. Plus it is Harris tweed which I adore. 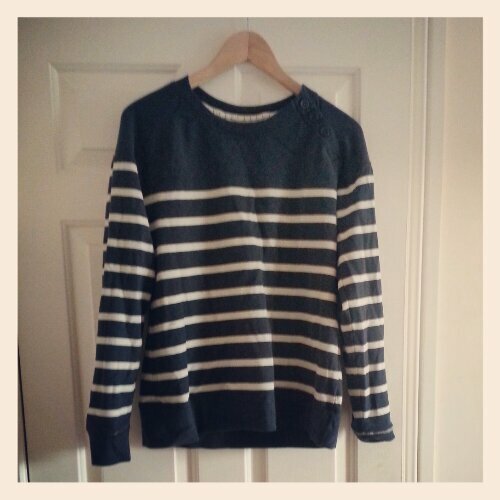 1 jumper – Seasalt. This is another brilliant purchase as it is almost brand new but with that lovely worn feeling that Seasalt cotton clothing has. This item has already been worn by me on numerous occasions. The downside here is that as yet nothing has been moved out of the wardrobe to make space for it. I think a pair of red trousers will probably move on to make room. As you can see these items are a real mix of clothing companies and I won’t tell you the money I spent as I am embarrassed. The final idea I want to mention this month is upcycling – upcycling is the process of converting waste materials or useless products into new materials or products of better quality or for better environmental value. (wikipedia’s definition there folks). Now while I appreciate upcycling doesn’t remove all the sticky issues with second hand clothing I feel it has a few positives which I really like. Firstly, there are a fair few companies such as Traid Remade who use the discarded fabrics and make them into something therfore reducing the waste. There are companies such as Antiform and Fix Up Look Sharp who take used clothing and fabric and turn it into something new, I haven’t bought from either of these companies yet although I particularly fancy this jumper and the idea behind it appeals to me massively. What is also nice about upcycling is that a brand that I would tend to associate with fast fashion has started to take note – Motel Rocks. Their upcycled collection while small is a nice step that suggests the idea of reducing waste material is on their radar but it is still in keeping with the style aesthetic that their consumers want from them. I remember reading a piece about why stopping buying clothes or reducing consumption would be bad for the economy and I appreciate this idea however I would suggest that buying from small companies investing in sustainable practices would be a better alternative than buying from brands where the sustainability and ethical policies are less than transparent and that we can all afford to buy a little less and it won’t do any harm. This is where upcycling also falls into my thinking I love the idea of helping a small business grow and also help with the reduction of the waste materials from the fashion industry. I also plan to upcycle a few items myself – I am turning some trousers into shorts and hopefully some jeans into a pencil skirt (my mother’s phrase of ‘That’s sooo easy’ – may not prove to be true). So what do others think of upcycling? 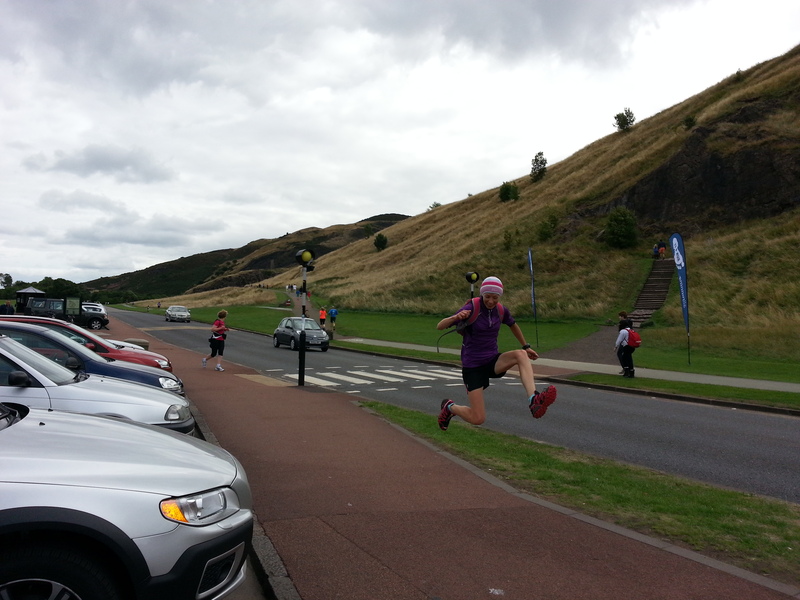 This Saturday the Salomon City Trail roadshow arrived in Edinburgh on its last stop. I had signed up to this wee workshop back in June prior to my injury and had almost forgotten all about it until my mate remind me and Salomon started to load my inbox with reminder emails. So what the roadshow/workshop all about? 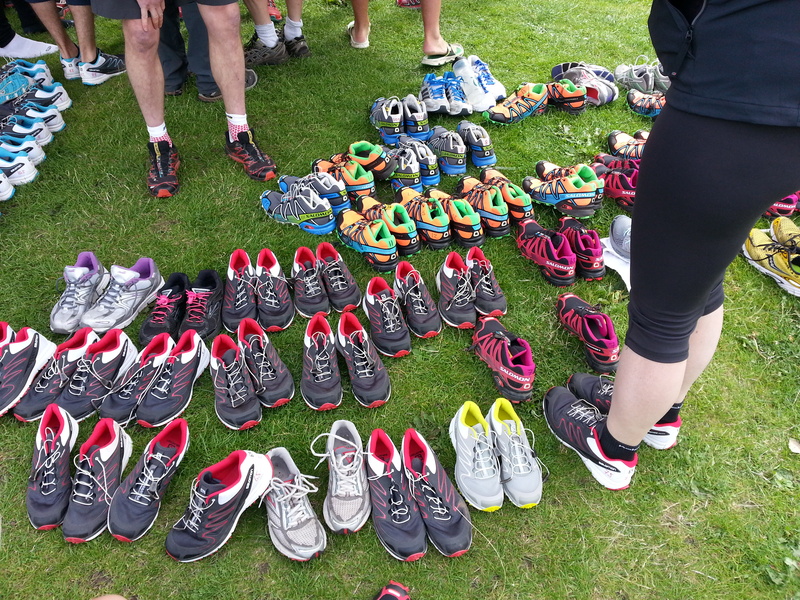 Well this little crew of people from Salomon, run4it and superfeet insoles have been travelling around various cities in the UK allowing runners to try out Salomon trainers then run some trails in the cities either with or without a guide. At the end of it all you hand back your borrowed shoes and get a 15% voucher for run4it and a free pair of Salomon socks. 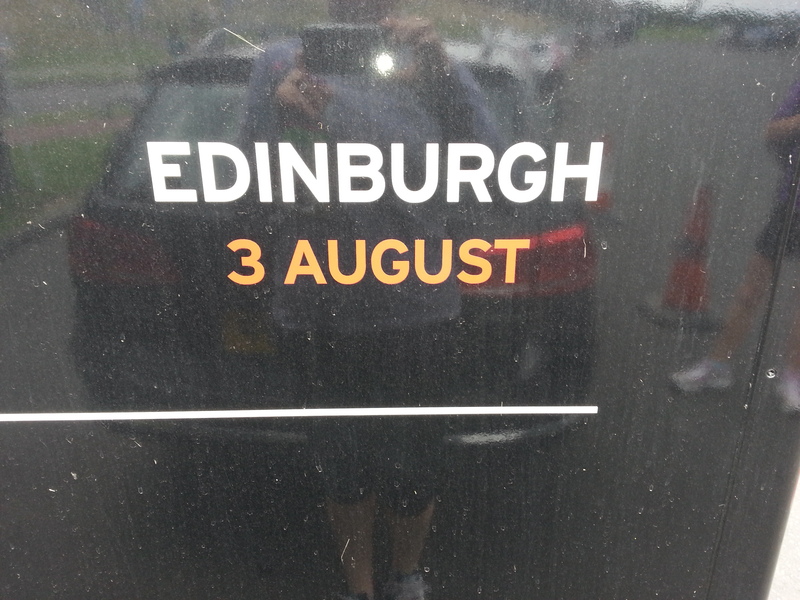 We were registered for 10 o’clock, the first slot available and when we met in the car park at Holyrood then was already a small group of runners waiting to register. The weather was trying its best to dampen our spirits – windy, colder than it has been for a while and trying to rain – but it couldn’t dampen mine. I managed a 18 minute walk/run on Wednesday and the idea of getting back to running around the trails on Arthur’s Seat had me excited. Registration was quick and easy then we got to pick our shoes with advice from the guys at Salomon. I ended up going for the XR Crossmax 2. Mainly due to the fact that they are the most supportive ones and given the weakness of my feet and ankles I wasn’t about to try something different. It was also suggested I try the insoles so we pottered off there next to get those fitted. Again they recommended a supportive one. The idea of these insoles is to give your foot the 3D feeling that it would get running on ground rather than the flat insoles that come with your shoes normally. The insoles felt great for me, the shoes fitted nice and snugly with them and my foot felt more supported. Try to ignore the stupid face I am making and look at the ace shoes! Then with Lisa all kitted up too, off we went. Now we run Arthur’s Seat all the time so we decided to use some of the trails we know around the back of the hill away from the tourists. 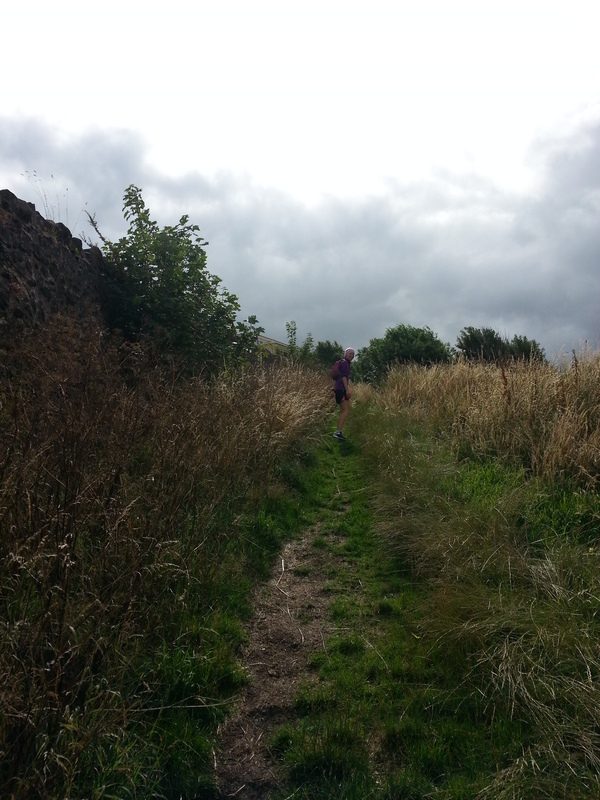 We climbed up the hill, I did walk/run but did longer stints of running and it was great to be bounding about the hill and catching up with my mate. The plans for next year’s running are growing but I will fill you in later. Disaster struck on the descent on the road, I slowed to walk and immediately went over on my ankle! The same one! The pain burst through my ankle and foot and all I thought was ‘oh for f@~! sake’ but after blinking away the welled up tears I found I could walk ok and within a few steps I could walk normally then began running again. It feels ok but I can certainly feel it more now than previously. My mate decided to give the Speedcross a shot as well as the Sense Mantra. She felt the Sense Mantra were pretty hard on her feet and with their natural running styling and low heel drop (something she doesn’t normal run in) they recommended she try out the Speedcross too. 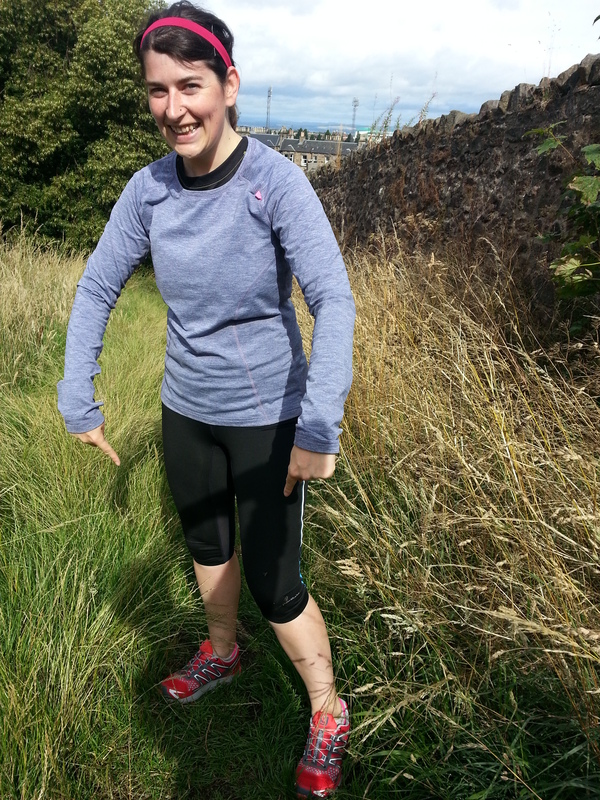 Well the Speedcross were a hit for her, they felt like she ‘was wearing a sock’, so comfortable. All in all a great morning, we with the exception of me attempting to injure my self again! Back home I treated myself to some seasalt & cracked black pepper bread, delicious! I have iced my foot and it seems to be okay and I am planning on resting it until Wednesday, well with exception of horse riding and cycling but those don’t count do they? Plus I had an exciting parcel filled with Trek protein Flapjacks and flavoured raisins waiting for me when I got home – yum!